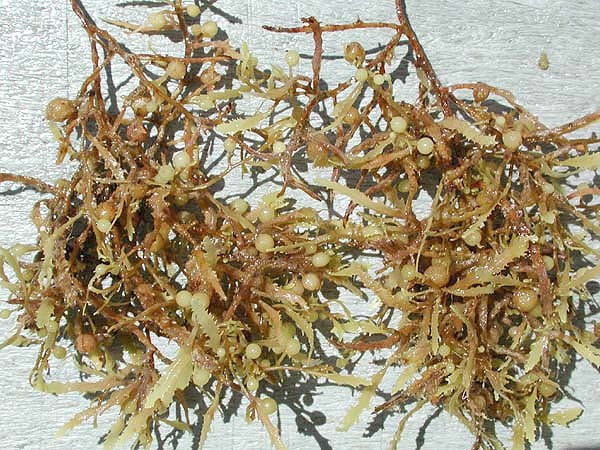 A closeup of a small mass of sargassum weed. The numerous small round spheres are floats filled with carbon dioxide. These provide buoyancy to the algae.